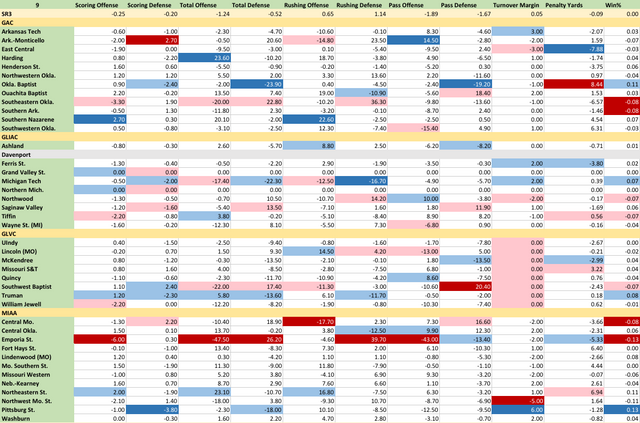 Here you will find all of the stats for SR3 in relationship to week 9. 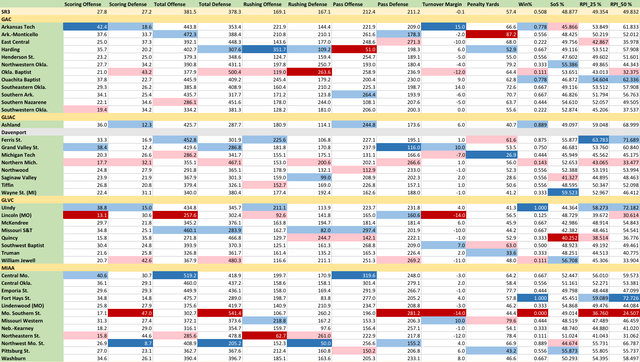 I also have added information to show if your team's weekly average has improved or not during week 9. I had been posting these in the global General Discussion, but it doesn't appear that as many people see it. Thus, this week I will try cross posting in the conference boards. If you all do not like the posting in the individual conferences, I can go back next week to posting in the General Discussion. Re: Week 9 Stats - How does your team stack up? One critique/recommendation: when you post these, could you post them with a quick color key so we know what the red/pink and blue/light blue highlights mean? Makes it easier/quicker on readers to follow. Sure thing... I can add that back in.